Looking for the perfect way to add volume and plumpness to your lips? Look no further than lip fillers – a cosmetic treatment which is certainly having its moment. From Kylie Jenner to Stephanie Pratt and Ellie Goulding, many women want a set of full, natural and beautiful-looking lips, so it makes sense that this popular trend has become the go-to treatment to deliver immediately full results. Shumaila’s Beauty in Essex is proud to offer natural-looking lip fillers to give your lips the plumpness you’ve always wanted. For women whose lips have started to thin and appear less defined due to aging, lip augmentation is a natural solution to enhance the pattern of the lips. If you are wanting to increase the fullness and definition of your lips whilst having a more youthful and rejuvenated smile, lip fillers may be perfect for you. And, if you are looking for the best Essex lip fillers, contact Shumaila’s. Also known as lip enhancement, lip augmentation or lip injections, lip fillers are a popular cosmetic treatment which address many lip concerns including smaller and thinner lips. 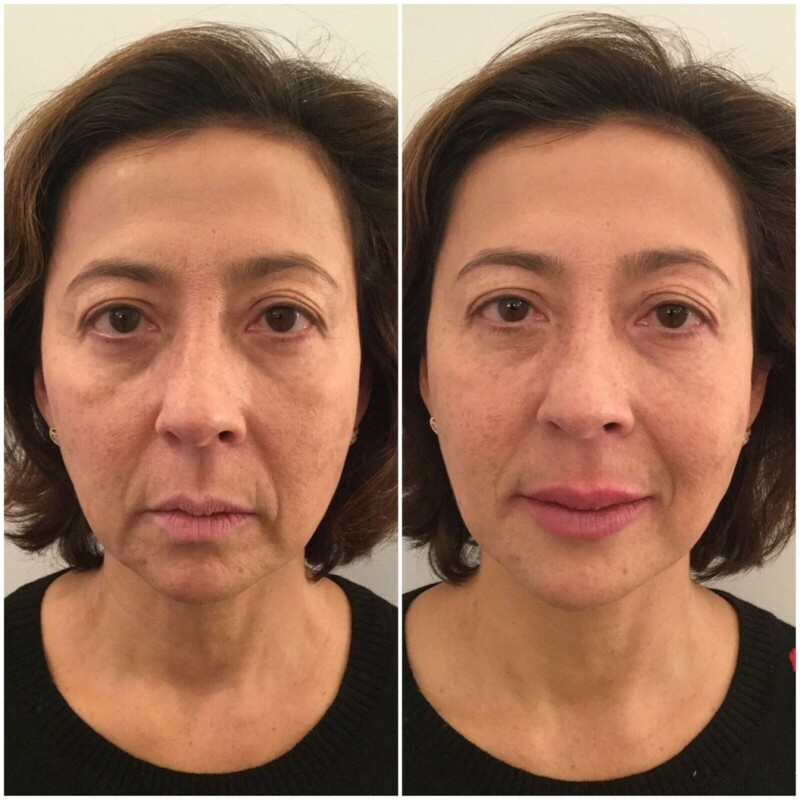 Delivering immediate results, lip fillers enhance the natural shape of the lip through the use of a medically developed solution made of hyaluronic acid. Hyaluronic acid is a naturally occurring substance in the body thereby making it perfectly safe to use, and is beneficial in retaining moisture whilst helping the skin to look plumper, softer and natural. A typical lip augmentation treatment takes only 15-20 minutes, and can last anywhere between four to six months, but in some instances, can last up to one year before the injected solution naturally breaks down. You can choose how little or how much filler is desired. You can also choose to have both lips treated, just the bottom lip, or just the top lip. It is recommended to start off slowly and gradually increase the size of your lips for a more natural look. Your Doctor at Shumaila’s will discuss with you how much or how little to use with the goal of complementing your facial features best. Typically some clients may feel a level of discomfort but this can be alleviated through the use of numbing cream applied directly to the lips, making the treatment more comfortable. There are many benefits to lip fillers including increased volume and definition to the lips, producing a pout which is more pronounced and turning the corners of the mouth upwards. Full lips also give a more youthful appearance to the mouth area. Whilst there is no down-time or recovery time, some women may experience tenderness and redness in the area. There may even be some swelling to the lips, which is normal and will eventually subside within a few days. You will instantly notice a difference in the fullness of your lips, although it may take 2 to 3 weeks for the lips to settle completely. All women can expect to return to their daily activities immediately after treatment, and your practitioner at Shumaila’s will discuss your recovery and what to expect when you attend your appointment. No makeup or product should be worn or applied to the lips for at least 12 hours following treatment.